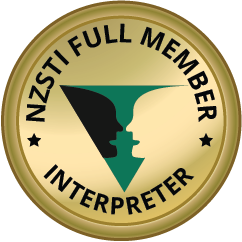 The 2016 Conference of the New Zealand Society of Translators and Interpreters (NZSTI) took place on 28 and 29 May in Christchurch. The conference’s theme was “Redefining Boundaries, Facing New Challenges” – quite appropriate for the city of Christchurch which has suffered a lot since the 2011 earthquake. Many buildings in the centre are still uninhabitable and large parts of the city are still waiting to be rebuilt. NZSTI also celebrates its 30th anniversary this year. The opening keynote address, “From Cottage Industry to Global Network, Three Decades of Translation”, was delivered by Patrick King, a founding member and fellow of NZSTI as well as Director of NZTC Ltd. The audience learned about the beginnings of the Society and the translation industry in New Zealand. (Using typewriters to produce text is hard to conceive nowadays.) Patrick mentioned that NZSTI was founded by only a few people (just enough for its incorporation) in 1986. 30 years on, the Society has over 600 members. The first interpreters of many countries are probably forgotten or cannot clearly be identified, but New Zealand’s first interpreter did actually work for Captain Cook: between English and Te Reo Maori. The latter has received new momentum over the past few years and is predominantly used in the media, in education and for digital technologies. For example, Facebook is translated into Te Reo and it has even got a proper name: pukamata. And a word for selfie exists, kiriahua. Patrick sees the lack of technology in the interpreting market as a restriction for NZ interpreters while he considers contaminated databases the biggest issue with machine translation. Macro economy and loss of competition were mentioned as threats to the translation industry by him. Overall though, the future looks bright for translators and interpreters. Following the opening address, Stefan Grand-Meyer, Ian Cormack and Shirley Cormack presented the Treaty Times Thirty project, the translation of the Treaty of Waitangi into 30 languages. The idea for this project was born at the 2015 NZSTI conference. Now, some of the translated versions are already in the review stage. This project exceeds standard practice for ensuring quality in translation through collaboration on the final version for each language together with a linguistic review and a review by a legal expert in each of the target languages. 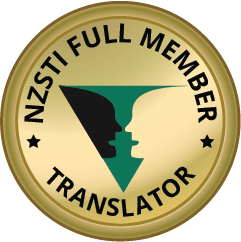 The translators (who do have a New Zealand connection) translate both the English version and the Te Reo version (Te Tiriti), which was translated into Maori by Henry Williams – overnight. Since the majority of the translators do not speak Te Reo, an English back-translation of the Tiriti is used. Stefan highlighted once more that this was a linguistic and not a political project. The next two sessions were run in parallel: Dominic Hartnett talked on translating the TPP while Jo Sieradzki presented her medical terminology workshop for interpreters. Jo explained the basic principles of medical terminology (including the importance of knowing Latin and Greek roots) and included a great amount of online resources in her presentation. Compared to New Zealand, interpreters in Australian hospitals seem to have more terminological support available in terms of multilingual leaflets, assistance from medical staff, etc. After lunch, Robert Foote of NAATI spoke about the future direction of the institution which will include a new certification system. I did not attend this session, but I am sure all the relevant information will be up on the NAATI website in due course. The last session before the AGM consisted in the panel discussion on the past, present and future of NZSTI with three founding members, Patrick Delhaye, Patrick King and Sibylle Ferner, as well as Dr Henry Liu, a long-serving member on the NZSTI Council and currently President of FIT. The audience learned that the first NZSTI conferences included a babysitting service offered by one of the delegate’s partners and that the beginnings were humble indeed: the Society was started in 1986 by only a handful of translation professionals who mainly came from Europe and wanted to re-create what they knew from there. 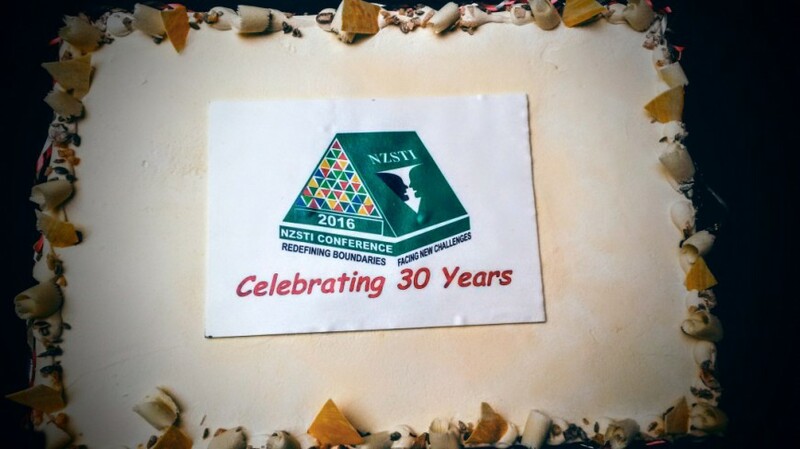 Next, the birthday cake to celebrate 30 years of NZSTI was cut. The last item on the agenda for day 1 was the AGM. The outgoing President, Karl Wilson, reported on the major events of the past year and on the projects that the Council had been working on. A new President, Quintin Ridgeway, and Vice-President, Guthrun Love, were elected. The remaining office holders and the majority of the Council members remained unchanged. Day 1 of the NZSTI Conference 2016 was concluded with a dinner at the conference venue. Translation Service – A Commodity?